Managing what’s in your wholesale store or on eCommerce sales can be extremely complex if you’re looking for optimal cost and best capabilities. We have to test five inventory management software packages to make these chores a snap. 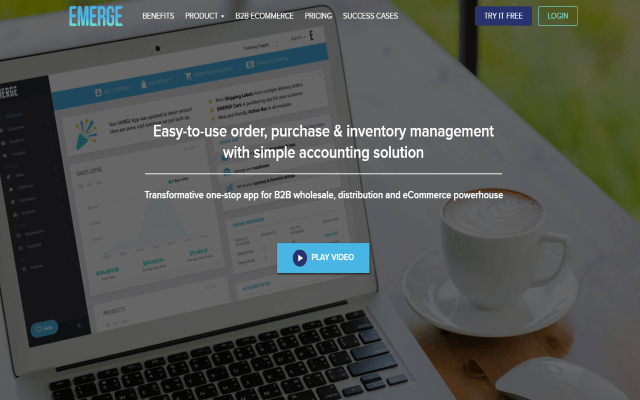 EMERGE App is a multi-channel inventory and sales management software for online sellers but it is typically also used by large brick & mortar retailers. This cloud-based application is designed to suit traditional wholesale, distribution, and online eCommerce merchants, and offers many different payment plans to be accessible for businesses from different scales and industries. Moreover, EMERGE APP features a complete system for growing business dealing with traditional offline distribution & online e-commerce sales. It comes with a full suite of features manages your entire operation from multi-channel sales to purchasing, product, inventory & simple accounting management. If you are running a growing business with more than 2 employees, EMERGE full user access management allow privacy settings applied to different parts of the app. From our experience it has one of the best user experience and affordable compared to others in the same segment. Not to mention their first user free forever plan, which comes handy for small growing wholesale startups. 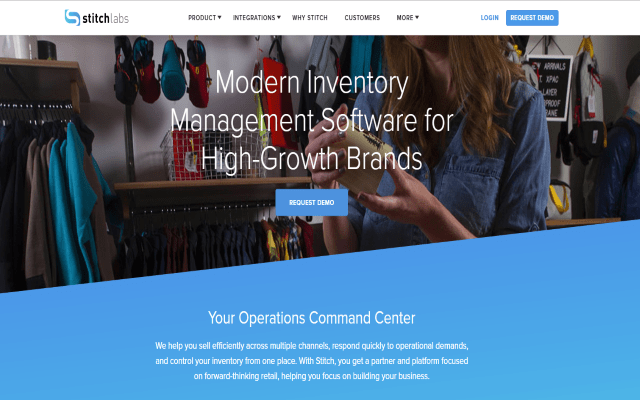 Stitch is an online inventory control solution that simplifies multichannel retail business. It automatically syncs inventory, orders and sales across channels, which provides retailers a holistic understanding of their operations. With Stitch, retailers save time, make better decisions, and grow their businesses. 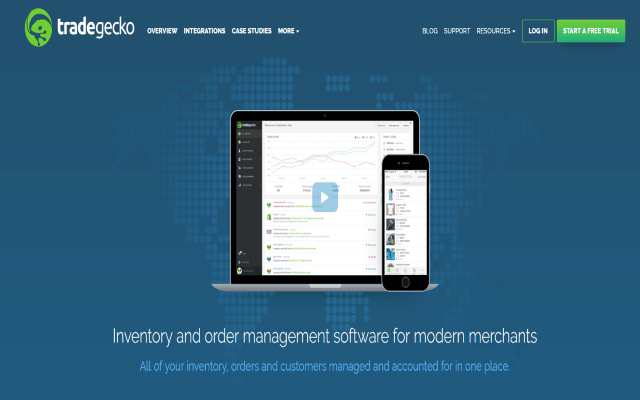 TradeGecko is a cloud-based inventory SaaS (Software-as-a-Service) application for small to medium-sized businesses. 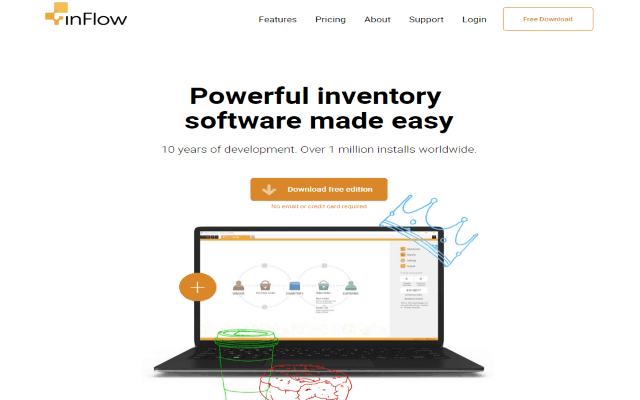 This inventory software program can integrate with a multitude of platforms, including eCommerce sites like Shopify and online marketplaces like Amazon, which is helpful if you sell your products online. Oddly, it doesn’t have a low inventory warning, which is standard for similar platforms. Rather than notify you when a product or item is getting low, the onus is on you to track items and reorder them before you run out. It also doesn’t include a bill of materials tracker, so this application isn’t a viable option for manufacturers. One issue to be aware of with TradeGecko is that you’ll need to integrate it with a third-party POS system. Aside from that, it comes with all the essential features for sales tracking, including the ability to keep track of partial orders, which occurs when portions of an order have shipped and others are pending shipment. The only drawback we see is its desktop and not cloud based system. Founded in 2010, this tool is a sales order management tool for wholesale, providing your company with mobile apps for field sales as well as B2B eCommerce solutions to brands. 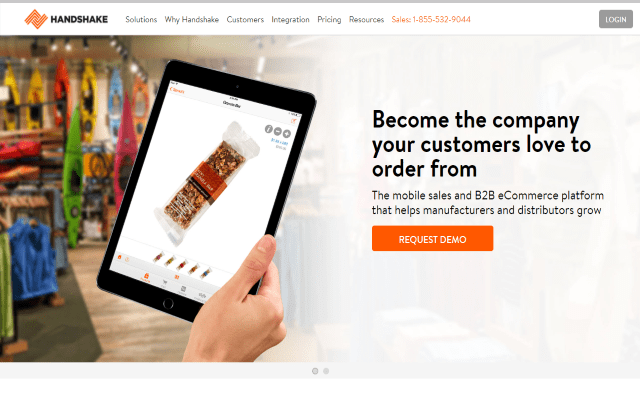 The tool’s technology enables wholesale brands to provide their customers with a modern sales experience, get more product sales with the use of customer data, boost order fulfillment times, and remove human error from the sales process. Only drawback what we see with Handshake is it’s quite pricey. 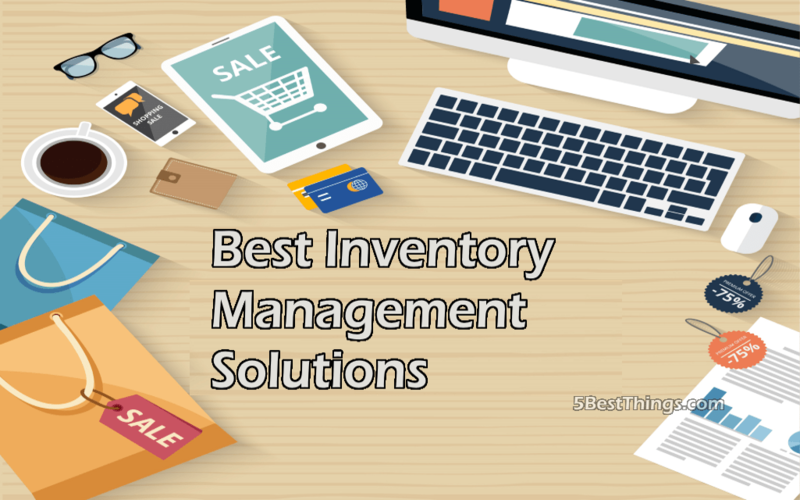 Inventory management helps businesses be successful. That’s as much of an understatement as saying the sun’s surface is warm. Inventory management is a crucial part of any business’ success! Using a good inventory management system for your company can take you long way!